In funding wars, it allows government to ignore the fiscal resistance of its citizens. It benefits the central government at the expense of secondary and tertiary governments. It turns moral hazard and irresponsibility into an institution, and guarantees recurring economic crises. By making credit cheap, it encourages businesses to finance their ventures through borrowing rather than equity. Because of market competition, few firms can resist the offer of low credit, making them more dependent on banks. As Pius XI noted in 1931, it puts a dictatorship in the hands of lenders who regulate the lifeblood of the entire economic system. Fiat inflation drives people to invest in capital markets where few will have the expertise, time, and inclination to monitor their investments properly. 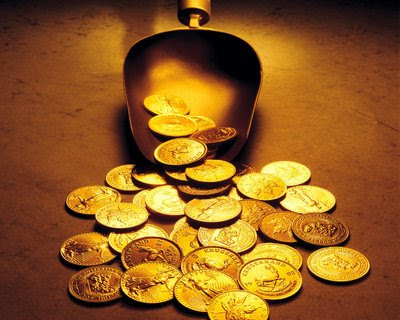 In former times people could save simply by holding gold and silver coins. Under a perennially increasing price level, the average citizen finds his best strategy is personal debt, which weakens self-reliance and independence. Under chronic fiat inflation, people will tend to choose their employment based on monetary returns. Money then becomes the prime or only consideration for personal happiness. Perennial inflation deteriorates product quality. Industries that cannot compensate for inflation with technological innovation turn to other means, such as producing an inferior product under the same name. Lying, which is bound up with fractional-reserve banking, tends to spread like a cancer over the rest of society. By fueling the exponential growth of the welfare state, fiat inflation fosters the decline of the family. Families become degraded into "small production units that share utility bills, cars, refrigerators, and especially the tax bill." The welfare state drives the family and private charities out of the "welfare market." As Hülsmann concludes, "fiat inflation is a juggernaut of social, economic, cultural, and spiritual destruction." You have a way with words that can really get people into what you are saying, but that goodness there are not more libertarians out there. Quite frankly, with the amount of stuff you want to privatize, this country would fail fail fail. I just can't agree with you, cause quite frankly, we don't own ourselves. Never have. Never will. We are debtors. All of us. Debtors. Quite frankly, your columns are making me more grateful for the two-party system, and I hate the two-party system. I would much rather pay taxes so I can drive on the roads and drink my water, rather than, to be honest, pay you to drive on roads and drink my water. Capitalism is not all there is my friend. And your view of capitalism would never work. Thank goodness so many of the American people are at least willing to throw support behind their leaders, even if they disagree with some of the plans. I heard it put this way, and I like it. "You may not like the plays your quarterback is running, but you don't turn around and tackle him." We are all on the same team. Stop tackling the quarterback. Your style is not how this country works, and it was NEVER how the Constituion was framed. For someone who talks a lot about personal responsibility, you sure like to shovel off the responsibilty on others, namely the government. I know you have had an anonymous poster on here before, and quite frankly, I have to agree with that person. I respect your beliefs, but man, thank goodness those are not the foundations of this nation, no matter how rotten the government can be at times.